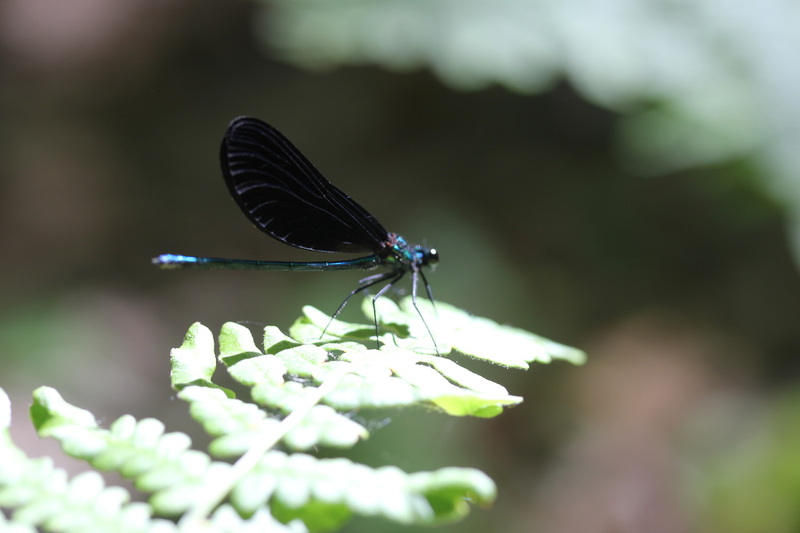 Broad-winged damselfly that lives near wooded streams and rivers. Lays eggs in soft stem of aquatic plants. This is a male. The female has white spots near the tip of her wings.